Melinda Helbock has handled the most complex injury cases involving traumatic brain injuries, spinal cord injuries and wrongful death. She recognizes the impact a serious injury can cause on a person and his or her career and quality of life. As a result, she has dedicated her practice to advocating for the injured and fighting tirelessly to obtaining maximum recoveries for her clients. Melinda Helbock received her B.S. in Political Science from the University of California, San Diego with double minors in Law and Society and Theater. She then went on to California Western School of Law, where she obtained her law degree. 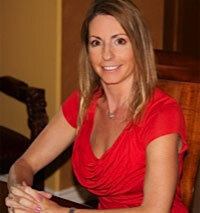 Melinda Helbock is a member of the American Association of Justice as well as the San Diego Bar Association. She is actively involved in the San Diego community, volunteering with Encinitas County Day and for youth organizations such as Encinitas Little League. If you or someone in your family has suffered a serious personal injury, you can seek experienced, compassionate and skilled legal representation from San Diego personal injury lawyer Melinda Helbock.